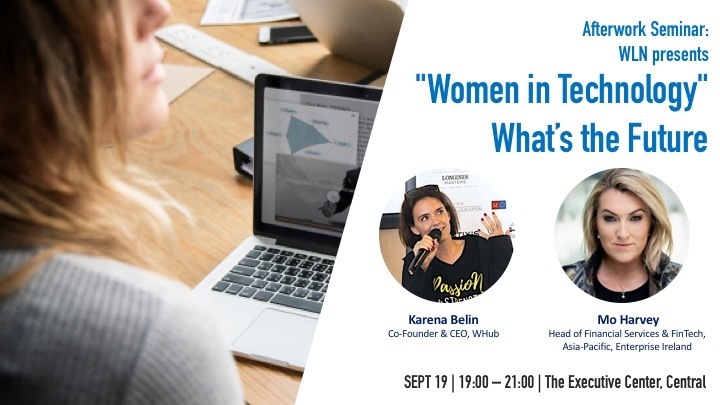 The Italian Chamber of Commerce and its Women’s Leadership Network Committee are excited to invite you to an inspiring after-work seminar about Women in Tech industry. During the last financial crisis, we have experienced a massive layoff in banking, along with people in its extended service sectors. A decade after, increasing numbers of banking sector professionals continue to go on their own in order to pursue a better future each year, including working alongside startups, in FinTech or other industries. FinTech, in particular, is a much-heated debate across the banking sectors as it not only disruptively eliminates most of the back office, but it also improves customer value creation and pushes the Financial Regulatory Framework into a new uncharted era. Ms. Mo Harvey, Head of Financial Services & FinTech, Asia-Pacific at Enterprise Ireland, and Ms. Karena Belin, Co-founder, and CEO of WHub will walk us through their journeys and how they discovered tech as their calling. As Head of Financial Services and FinTech for the Asia-Pacific region, Mo is a senior member of Enterprise Ireland’s Asia-Pacific team based in Hong Kong. Mo is responsible for helping start and scale companies in the region, working with entrepreneurs and C-suite decision makers to identify and harness opportunities in the financial services industry. Mo also works to expand relationships with start-ups, financial institutions, government, regulators, venture capitalists and other service providers across the FinTech ecosystem. Key areas of interest include Payments, Security, RegTech, InsurTech, BPO, Big Data, SaaS, AI, Entrepreneurship, Impact Investing, Early Stage Investment and Emerging Markets. Having been based in Hong Kong for a number of years, Mo is also actively involved in a number of organisations promoting women in business in Asia. She was selected as a protégé for The Women’s Foundation Mentoring Program for Women Leaders in Business. She is also a Board Member of Women in Law Hong Kong and the Past Co-Chair of the International Women’s Insolvency & Restructuring Confederation in Hong Kong. Karena Belin co-founded WHub out of the passion to foster the growth of the startup ecosystem. 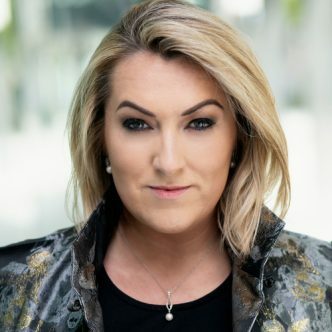 Since 2013, she has been a leader in the startup scene, acting as speaker, mentor and judge at events and organisations such as WebSummit, RISE Conference, TechStars programs, TechSauce, Google EYE, Chicago Booth GNVC, Tech Open Air Berlin (TOA), Asia Pacific Week, Seedstars, global YPO YNG+ and more. She is also a member of the FinTech Association of Hong Kong (FTAHK) and The Indus Entrepreneurs Network (TiE). 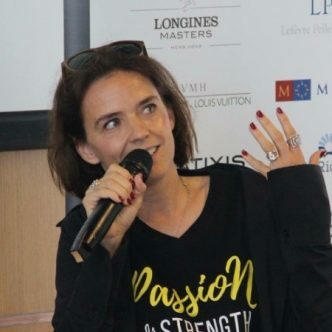 She holds a double diploma in business and administration from the University of Mannheim and the MBA business school ESSEC in Paris. Previously, she has worked 15 years for Procter & Gamble in various roles throughout Finance, Sales, Strategy and Management across Europe, North East Asia and Greater China.